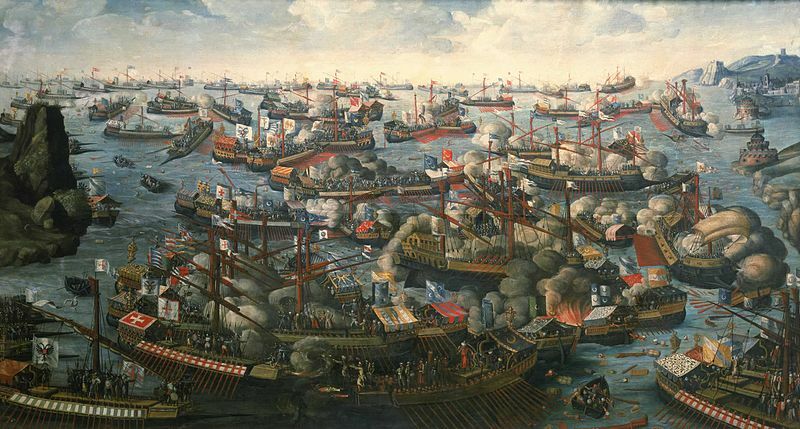 On the 7th of October, 1571, the Holy League destroyed Ottoman Empire forces in the Battle of Lepanto. The coalition, made up of European Catholic maritime forces and organised by Pope Pius V, met the Turkish forces sailing west at the Gulf of Corinth, Greece. The battle concluded at about 4pm. The Holy League lost around 7500 soldiers, sailors and rowers, but they freed about as many Christian prisoners. The Ottomans lost around 15000, and at least 3500 were taken prisoner. 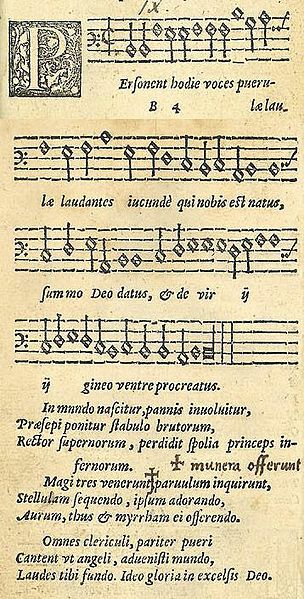 1582 published version of the Latin Christmas carol Personent hodie.